Soccer Training Technique Tactically addresses today’s high speed, high pressure soccer demands more of players than ever before. In this book, Coach Nicole addresses the need to incorporate tactical development and understanding into skills training. Indoor Soccer covers every aspect of indoor soccer is covered: skills, tactics, goalkeeping, technical and tactical drills, power plays and penalty killing. Goalkeeping Drills, Vol. 2 – Soccer goalkeeping requires good tactical understanding and good physical fitness. 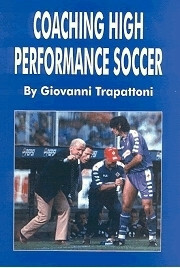 This book contains drills intended to improve these individual key aspects of goalkeeping.